Are you ready to add smart technology to your Atlanta home or business? We’re here to help. 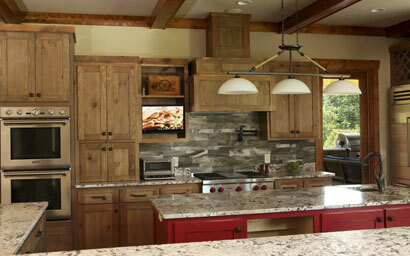 We are your local dedicated partner for expert home automation, lighting control, and more. Our custom services are entirely devoted to enhancing your lifestyle. Get ready to enjoy your entire media library outside. With whole home audio and video, you can listen to your favorite tunes out on the patio or watch the big game on your weather-resistant TV screen. We can recommend the right brands and products for outdoor use, ensuring your system can weather even the most extreme Georgia climate. Our services make it easy to utilize your smart technology in every corner of your home – whether outdoors or inside. Who says you have to drive to a commercial theater to enjoy that larger-than-life movie experience? 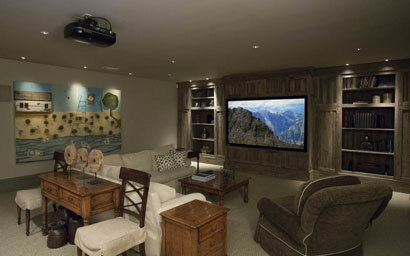 We can create the perfect environment for watching movies in your Atlanta area home! We combine a 4K Ultra HD projector, screen, surround sound speakers, home theater seating, and décor to create a fully immersive room with incredible visuals and audio.